50 Great Cavas is the only competition that provides a comprehensive snapshot of Spain’s top Cavas. The ultimate aim of this competition is on the one hand to reward the best Cavas produced in Spain with medals and on the other to demonstrate to both the trade end the consumer that it is time to rediscover Cava and making it something we should all be drinking now. Cavas are grouped according to dosage and ageing on the lees and then tasted blind by a panel of 5 judges. Judges are aware of the dosage levels and time on lees. After each Cava tasted, the judges compare notes and reach a consensus on a score out of 100 points. 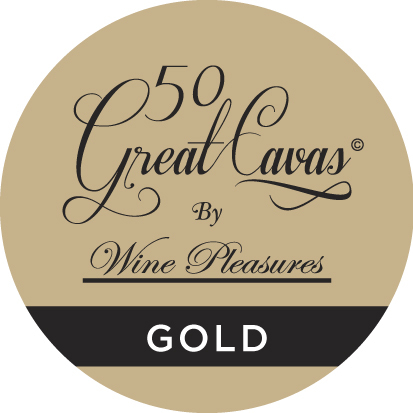 Gold and Silver medals only are awarded for the top 50 Cavas. Bodegas can label medal-winning Cavas with stickers for bubble lovers to recognise in store. Click on the links to view the Judge’s background, comments and discover their particular favourite Cava in the competition. Overall the judges found the tasting challenging, but in the end they came up with some real category winners. The top scoring Cavas coming from names not on the tip of our tongues such as Celler Vell, Ramón Canals and Adernats. Most of the top Cavas were all priced at under 18 Euros offering fabulous value for money.